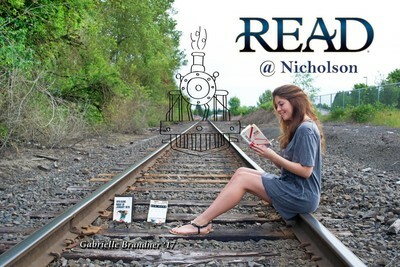 "Gabrielle Brandner READ Poster" by Michael Backus, Natalia Wan et al. Gabrielle Brandner, Linfield student, class of 2017, reading The Fountainhead, by Ayn Rand. Backus, Michael; Wan, Natalia; and Nicholson Library Staff, "Gabrielle Brandner READ Poster" (2016). READ Poster Gallery. Image. Submission 154.